Winter Aconite bulbs (eranthis hyemalis) from Wildflowers UK. 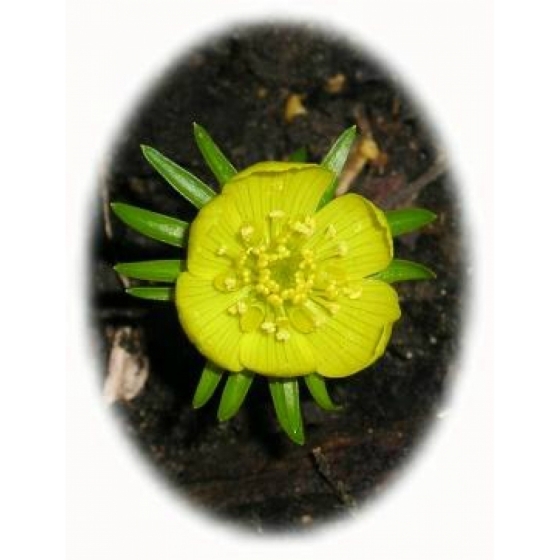 Winter Aconite Bulbs can be ordered at any time of year but will only be dispatched between October and November whilst bulbs are fully dormant. If possible please ensure orders reach us before mid-September, to ensure autumn dispatch. Winter Aconite -eranthis hyemalis is a woodland Wildflower that flowers a little earlier than the more familiar snowdrop. Plants are very low growing and produce a single cheery yellow flower. 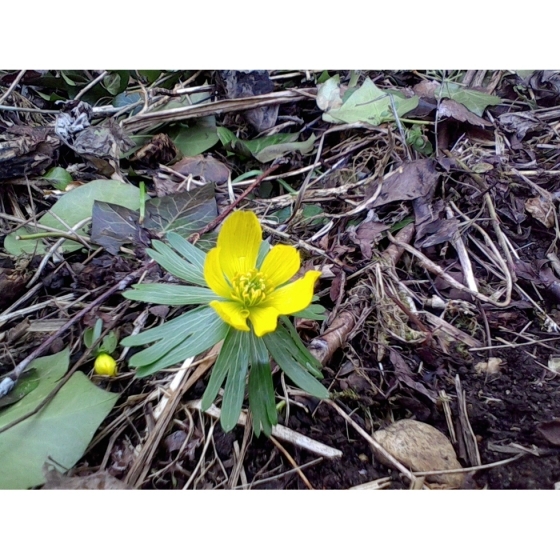 Winter Aconite grows best on moist soils that are rich in leaf mould and prefer deep shade or semi- shade. The flowering time of Winter Aconites can sometimes overlap with that of snowdrops. The 2 species can therefore be grown together to provide a succession of flowering from late winter into early spring. This will provide a valuable nectar source for any early emerging insects and bees. Winter Aconite bulbs take the form of small corms and can be introduced to their permanent planting positions in October and November. If the weather prevents planting, then bulbs should be stored in a dry, cool shady place until things improve. Stored carefully in this way Winter Aconite bulbs should keep for a long period, however bulbs should not be allowed to dry out. A hole approximately 3 times the length of the bulb is required when planting. Winter Aconite bulbs will establish more readily if a damp soil with some leaf mould can be found in a shady position. If the soil is especially heavy then the addition of a little sand can help. Winter Aconites look best planted in small groups of 10-50 bulbs. Flowers should normally appear the following spring.